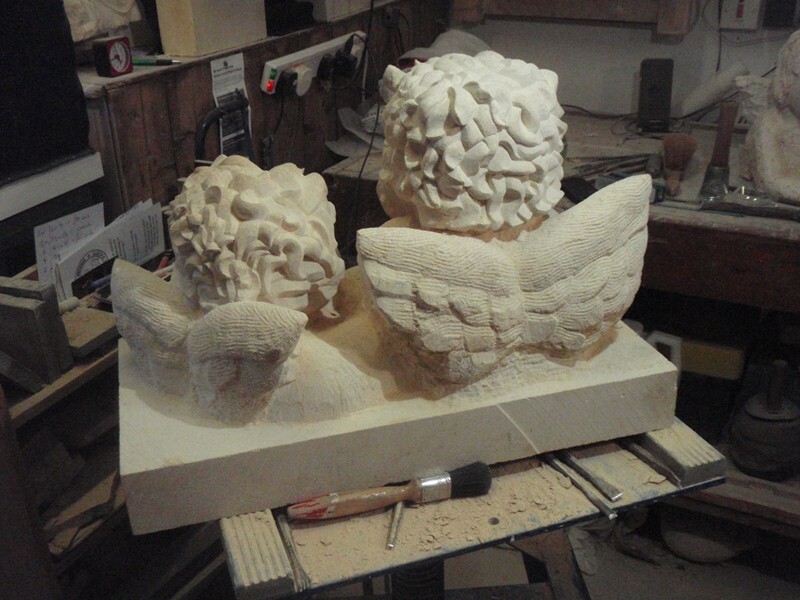 Well here are the latest photos, as you can see I have started to carve more detail and there is a hand! 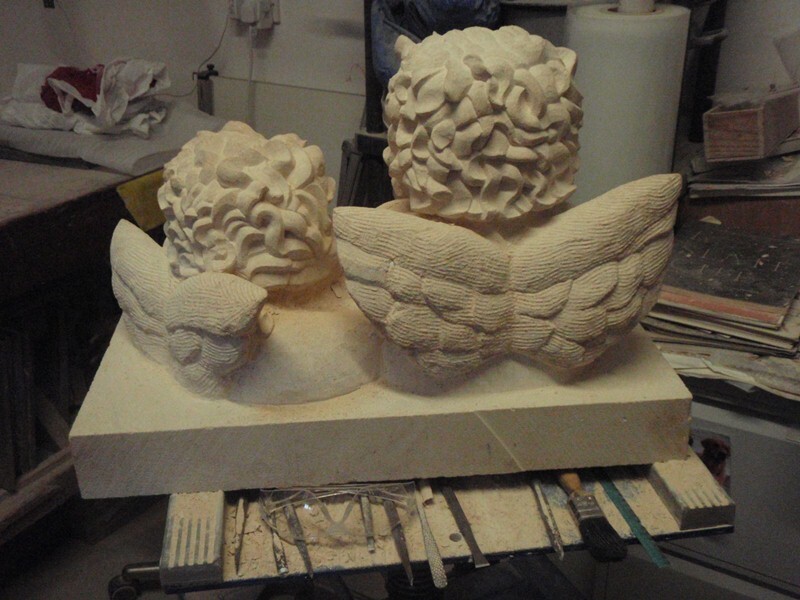 I decided to carve feathers between the wing and the shoulder in order to give strength but hopefully make it look delicate. 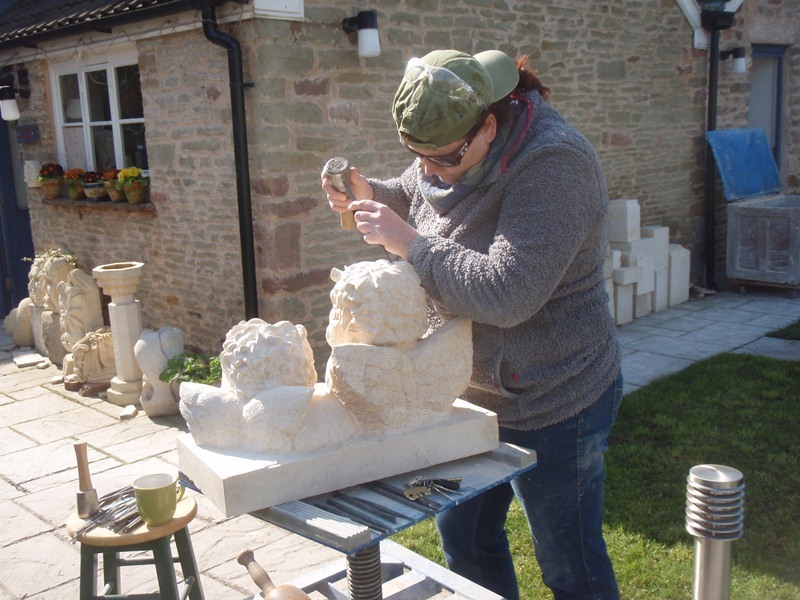 From mittens to fingers, I always shape the hands as mittens first so that I can get an idea of the shape without committing myself too early. 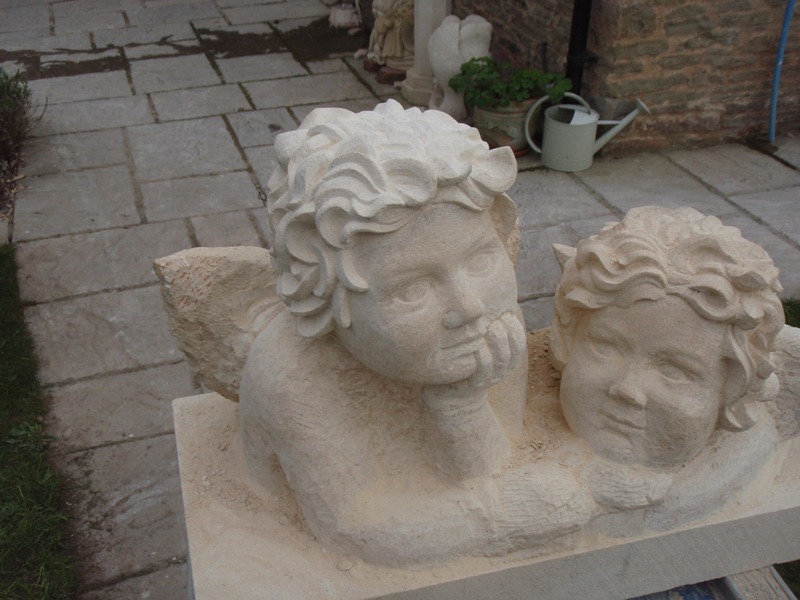 I hope that the way I have carved the hand on the face makes it appear that the fingers are pressing into the cheek. 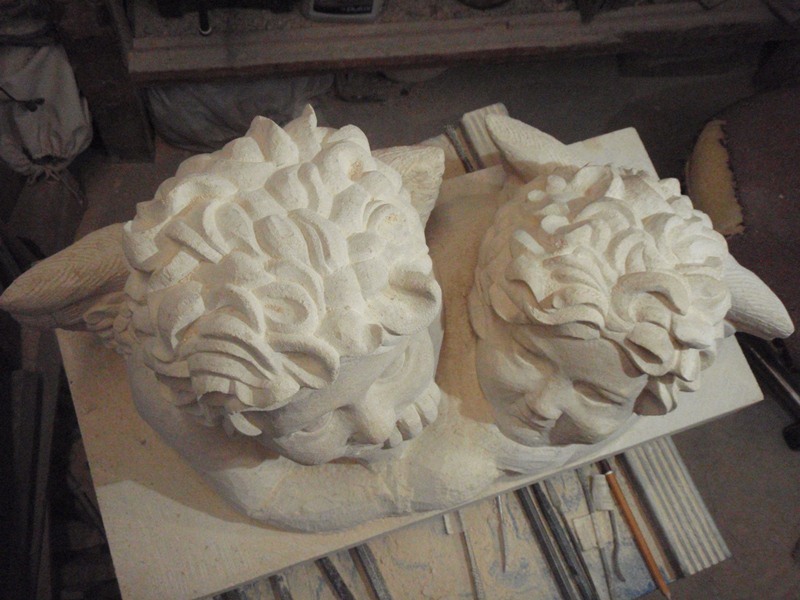 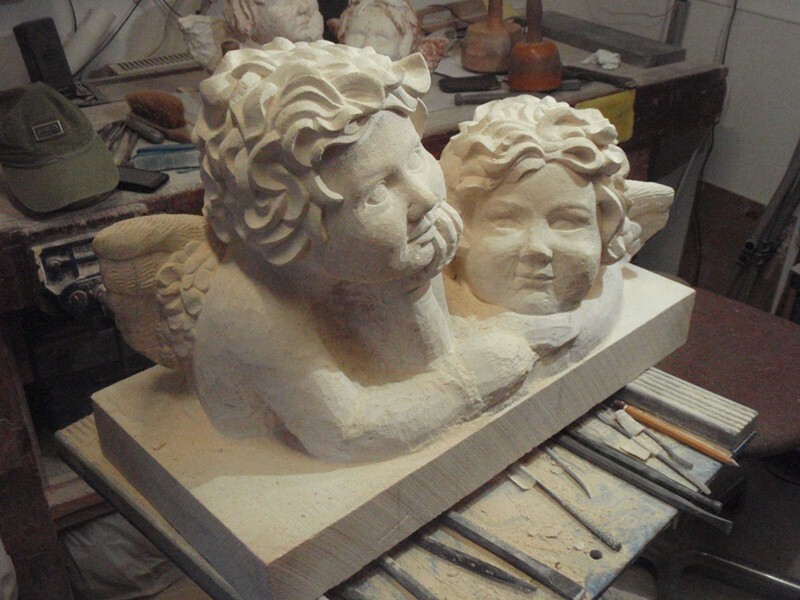 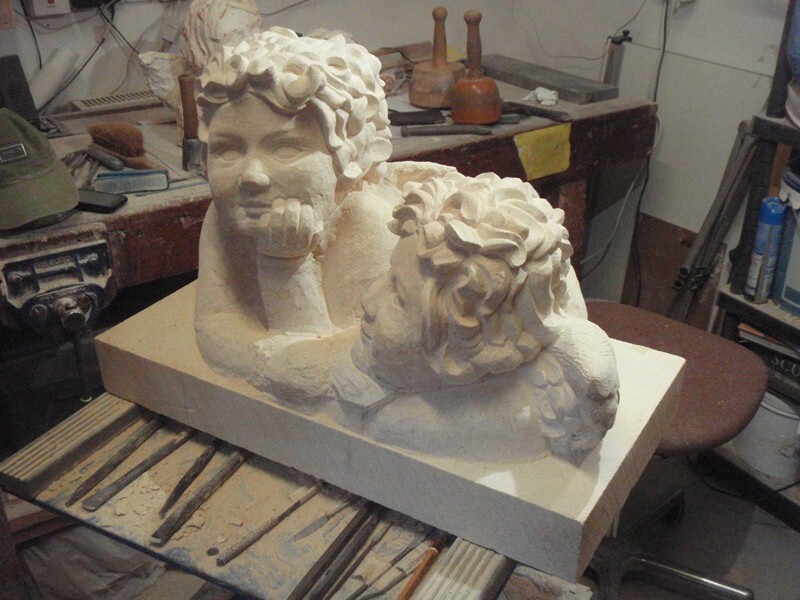 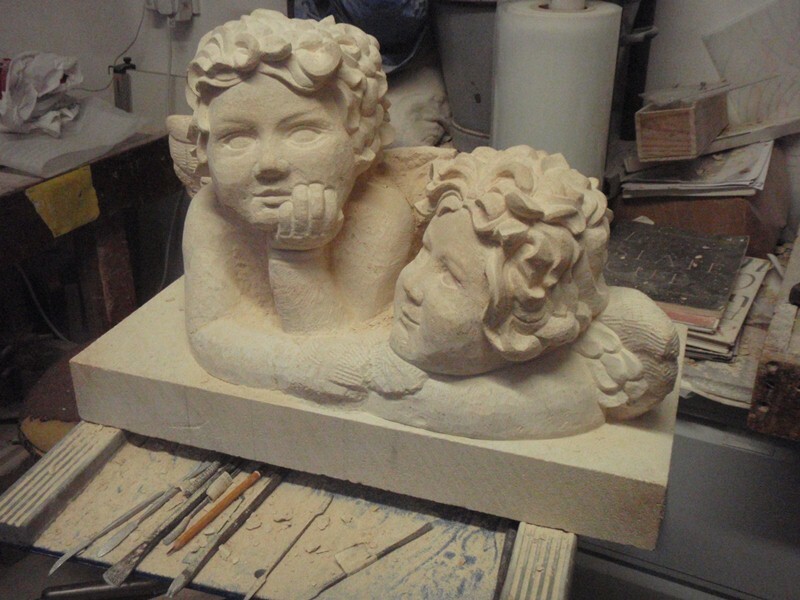 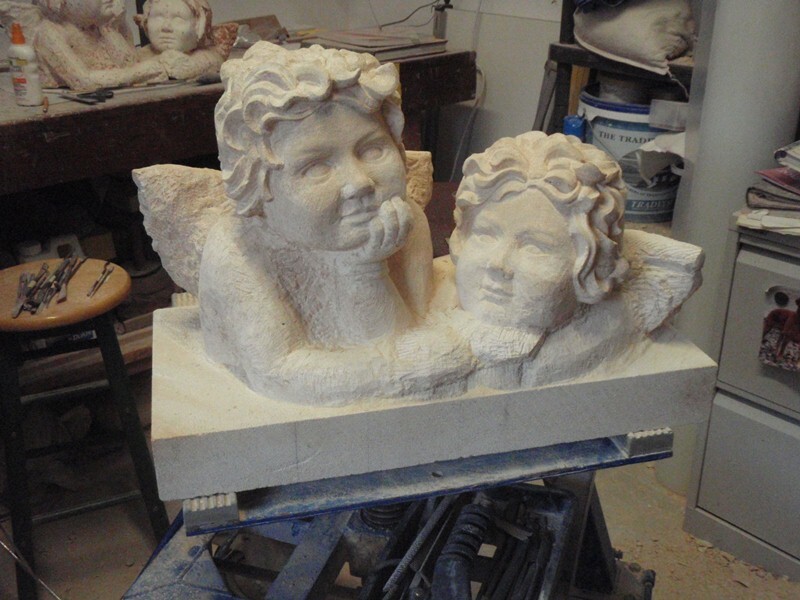 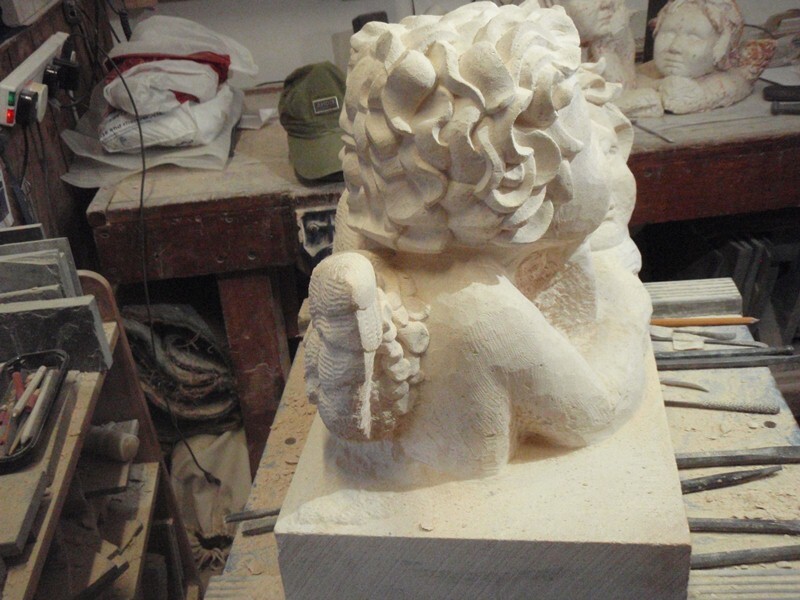 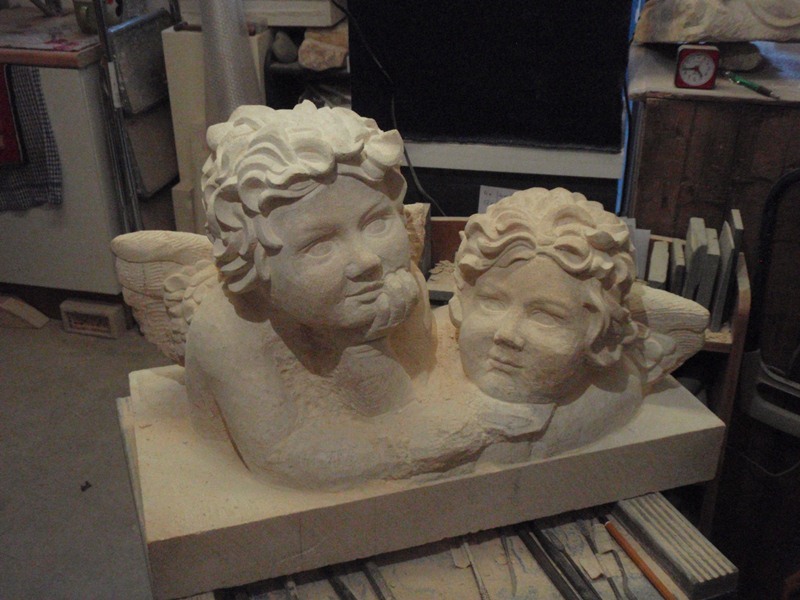 I am coming scarily close to finishing these cherubs and the next stage is to put them on top of the other 2 blocks of stone and then to carve the stone into a more natural shape and finally the inscription.